cherry blossoms! The only bad thing is that it was still pretty chilly for spring. really for spring break to be over! You're looking so pretty in this simple outfit, but that's not new, you're always looking pretty! Incredible casual look. Those tights are awesome! which colorful and beautiful flowers blossom. They brighten up my day. Btw, you always look stylish. Lovely, lovely outfit! the pictures are so sweet! very nice everything! Love these photos. I wish it looked that beautiful here! Ahhh I love this! The color palette, the tights, the sandals. Adorable!! its cool to have nice blog options... i really enjoy reading it. i wish u all a nice week! enjoy the new week that is about to start! I just feel in love with your style! 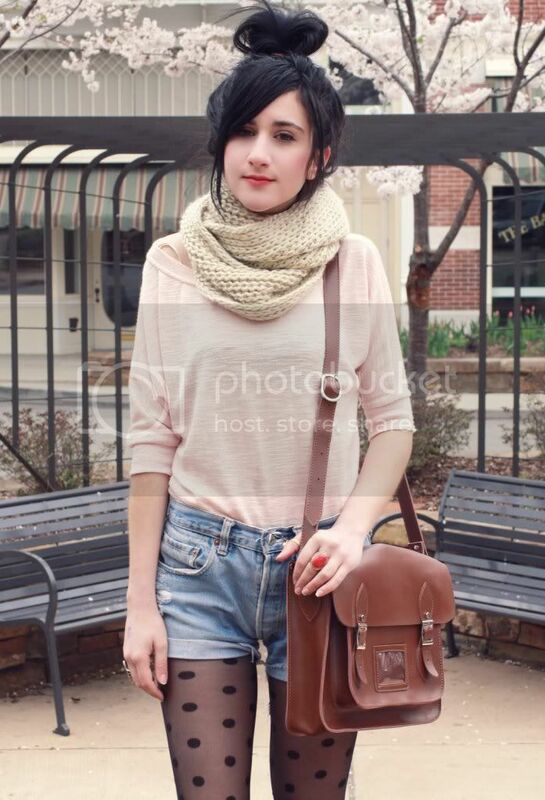 Im so happy I found your blog from modcloth blogger of the moment. Anywho, I love how you put things together, there is always a dash of romance and cuteness. So far my favorite look is the pale lavender vintage dress with the crochet trim sheer vest. JUST LOVELY! Finally, Im obsessed with this crochet bow. will be following you now. oh super cute, i love that scarf. this outfit feels very soft and springy. the flower photos are gorgeous and i love your outfit. Pretty flowers in the trees! Such a cute backdrop. I am love love loooving the shorts you've got on! And your top knot looks very cute as well. Cute pictures! i love spring :) and your outfit is adorable! Gorgeous look again! Love your ring! I love those Blowfish shoes! Also that satchel is adorable as well as you of course! this is so cute!!! love the tights!! Blossoms are love! They are my favorite plant/tree/flower, guys should never give me roses, just get me a real blossom to plant outside my house, greaaat pictures! Great outfit as usual. You look beautiful! what a beautiful simple outfit!! the background looks so pretty. it's like you are in japan with sakura flowers all around. love your shorts so much! and once again this outfit looks cute on you! the outfit is so cute! i wish we have cherry blossoms in the philippines or here in qatar. Your outfit is just amazing!! i also made a similar post yesterday about flowers in my garden, but yours are so much prettier! awwww blossoms are beautiful & so are you! So pretty! Love it! M.
Cuteness overload! :) I also love the blossoms, it's so wonderful to see all the different colors & really feel & see that spring is here. Beautiful Background! The color of your shirt is gorgeous! The blossoms are beautiful! Love this nice outfit on you! Blossom trees are always a lovely sign that Spring is here. Such pretty cherry blossoms, your outfit is perfect for this location! You are really , really sweet every post ! so cute as always! i love the polka dotted tight and the big comfy scarf! Yay for early blooms! I dig the tights here. Very edgy look yet sweet. You're so beautiful!!! Love this outfit!!! The first flowers of spring are always the prettiest...and I'm totally crushing on your polka dots tights! such a cute comfy outfit! you look super chic!! tell me about it, did not want my spring break to be over!! Gorgeous pinks! 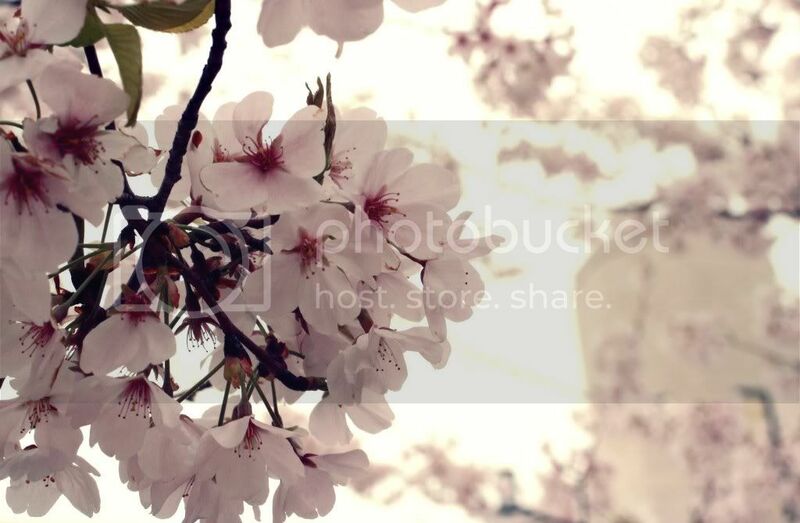 Love that the cherry blossoms have started to bloom...great shots capturing that! great post, as always Bonnie! Hi pretty! !, i have a ring similar as yours. Stunning outfit again! The colors are so gorgeous! amazing photos! you look adorable, dear! omg every your outfit is perfection!! Aww, I love cherry blossoms! 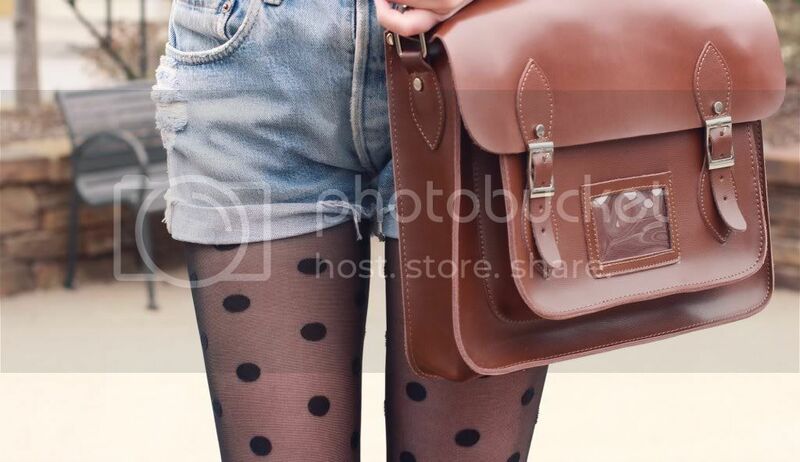 i love that soft pink mixed with the polka dot tights! i think i ve never seen cherry-trees near here... only almond trees that are qually beautiful! 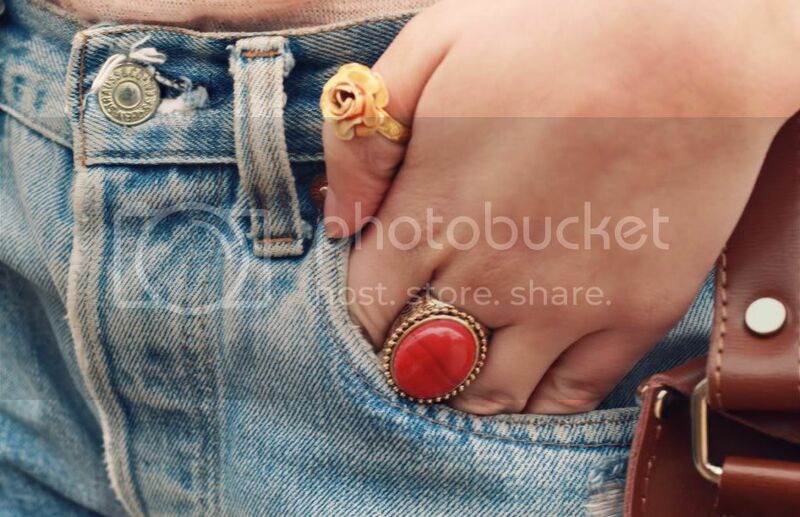 i love your outfits and your cute colorful/funky rings! where do you get all of those beauties?! You are so lucky that you have spring weather right now! We still have heaps of snow. I can not wait for flowers. PS. Love this outfit so much. Your scarf and top look so soft and comfy. I'm usually not a pink girl, but I really love it when you wear it. It just looks so pretty against your skin/hair. And aren't all of the flowers pretty?! Our peach and cherry trees are blooming in our backyard and they are just so gorgeous. The only bad part is that flowers=pollen=me sneezing my face off. Very pretty stone ring, i like the color of ring.